Pašreiz BMWPower skatas 51 viesi un 31 registreti lietotaji. Could there be any owners of the E34 M5 or M5 touring in here? Sorry for not writing in Latvian (I understand a little but I am not good enough to write something). We (M5 E34 Club - located in Sweden) are running some international projects on our homepage that might interest some of you. Then there is this bigger project to see how many still alive today. The M5 is as you may know, a very rare car. Compared to the E30 M3 there are only half as many E34 M5s built! I know "dallas" and "PKM" from our forum from before, but are there more E34 M5 owners? Can anyone with a M5 or M5 touring help with the VIN-number (last seven digits is enough - no other info needed) for these projects (links below)? Would be great. In case if I die, I'm gonna leave you a message: "F*** you all." braucoshas no vinjaam ir ~ 10, ne vairaak. Paareejaas, atminjaa ir visaadas Aivja, Ozolinja zaljaa, Martini u.t.t., tachu jau vairaakus gadus nav redzeetas, domaajams, ka savu dziivi ir beigushas. 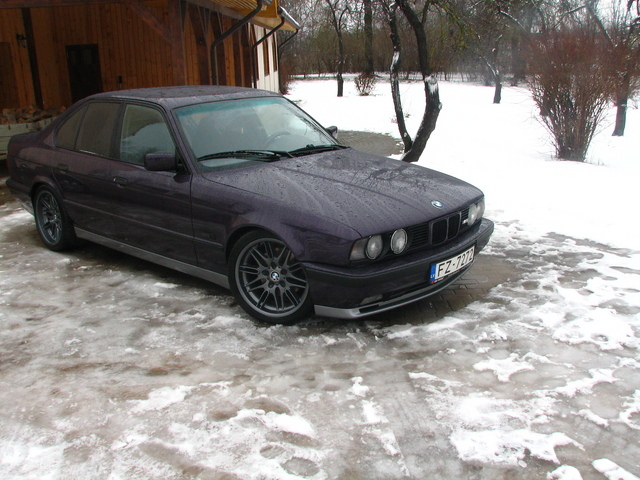 and how many of this e34 M5 is still alive?? tehniskaa apskate ar taam virsbuuveem, kas ir sarakstaa, tiek ieta.. takaa shie ir vairaak vai mazaak braucoshi. As Bute wrote in latvian - about 10.
marco ir 3.6 M5. Kaut ko tur lēnām čubinās pa garāžu. M5 3.6	saloon	1989 / 08	GREEN ? M5 3.6	saloon	1989 / 04	BLACK ? M5 3.6	saloon	1990 / 09	BLACK ? M5 3.6	saloon	1989 / 08	BLUE ? M5 3.6	saloon	1991 / 02	BLACK ? M5 3.6	saloon	1991 / 03	GREY ? M5 3.6	saloon	1991 / 11	BLUE ? M5 3.6	saloon	1989 / 12	BLACK ?